How does one make an Impact? What makes a goal meaningful? What is one willing to do to achieve it thus turning dreams into reality? Many athletes’ especially BJJ fighters embody this concept in their sole commitment to making things happen. After all it’s what makes the person who they are from the many challenges they must overcome to obtain that desired goal. However don’t mistake them for being self-centered and solely out for themselves because they have a way of applying what they learned in the dojo and competition arena to making a positive contribution to the world aiding their fellow man. 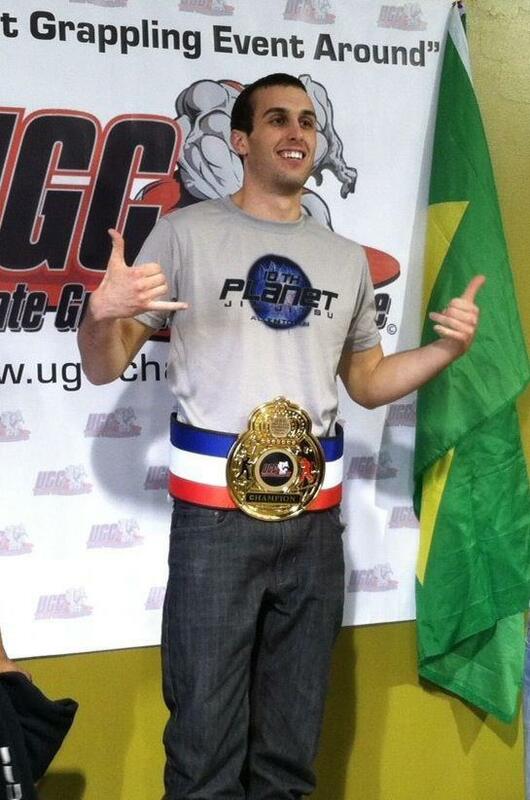 Take Tinguinhna BJJ Brown Belt Bret Russell for instance. 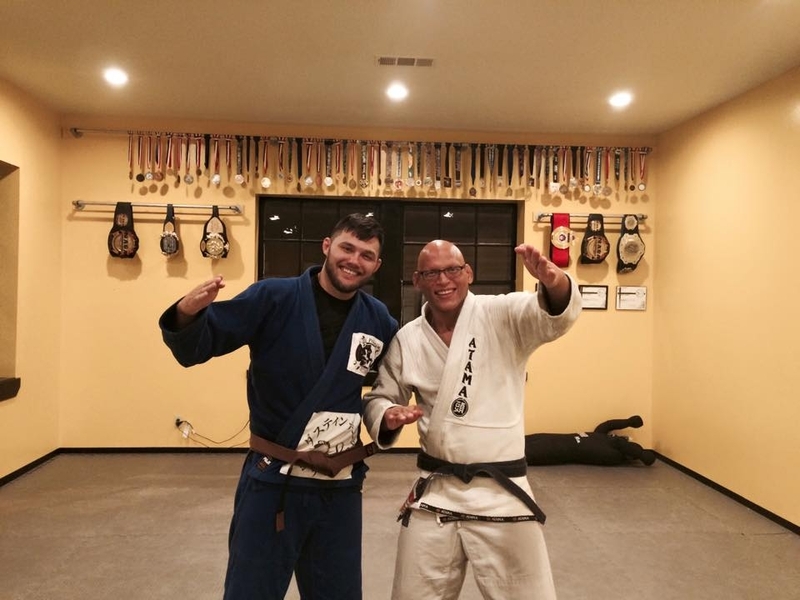 Eight years participation in Brazilian Jiu-Jitsu has taught him countless life lessons. Through competing at the world class grappling level, grueling training sessions, and rising in the belt ranks you would think he has experienced it all which has made him into the man he is today. However little did he know his journey would take him into another direction after an eye-opening trip to Costa Rica meeting the kids of the Pura Vida Foundation. Find out the impact one is striving to make in this little community in Jaco, Costa Rica as Bret Russell reveals to us here at BJJ Legends. Every individual that participates in Martial Arts has their own set of experiences. Taking your journey into a traveler’s direction with your visit to Costa Rica, what was the purpose of your visit? Bret Russell: The purpose of the visit was to take my girlfriend on a surprise vacation to Costa Rica for her birthday. Obviously, with the trip it presented a new environment to train Jiu-Jitsu. On our zip-lining excursion I was informed about Leo Ruaro who was a local that trained Jiu-Jitsu. That night we met up to train for the first time in a small shack with tons of little kids. It was that night that I learned about the amazing program Leo has running in Jaco, Costa Rica. Leo not only provides Jiu-Jitsu lessons for these kids, he provides them with school supplies, transportation to and from Jiu-Jitsu, and offers these kids a chance to steer clear from the rough path of street life and drugs. Paint a picture for us about the living conditions and what life is like for a typical individual growing up there? Bret Russell: Costa Rica is a beautiful country and a tropical paradise. It’s a combination of a Caribbean and jungle-like environment. The food is incredible and the land is inviting to many different types of species of wildlife. The living conditions, like any place, are very poor in some areas and wealthier in others. There was poverty in the area of the country we were staying. A typical living condition would include a small home, modern facilities, low cost of living, and readily accessible medical/pharmacy clinics. For the general population, Costa Rica has a high standard of living. A typical individual growing up in Costa Rica would involve being exposed to all the land has to offer: the beaches, the national park, surfing, Jiu-Jitsu, fishing, and a very close-knit community. Can you share with us some information about the Pura Vida Non-Profit Organization? Bret Russell: Pura Vida Non-profit organization is more than just an organization. Pura Vida is translated as pure life and is the saying to which most individuals in Costa Rica live their life by. This organization goes above and beyond for every child that is involved in the program. The organization encompasses Pura Vida through every child. The organization makes sure they have what they need as a child such as school supplies, transportation, taking the children for dental check-ups and medical care, clothing, and most importantly providing each and every one of these children with a positive environment. Most of these children come from broken homes and this organization creates hope, stability, and consistency for many of these young children. After interacting and getting to know these kids my plan is to contribute to this wonderful organization as much as I can. Tell us about your experience working with the group? Bret Russell: My experience with this organization and the kids has changed a part of me forever. These kids are the most appreciative, willing to learn, and most TOUGH group of kids I have ever come across. They have since changed locations but the location I was brought to was literally a shack in the middle of the jungle and the vibe was amazing. The place has “soul” and that comes from the man who made this all possible. There is a hand full of rules that you would expect from any Jiu-Jitsu academy but the rule that stuck out most was the rule that you must bring two friends to class as time goes on. Keep in mind Leo does this out of the kindness of his heart and does not charge the kids. Everything they have is from donations and hand made from the Jiu-Jitsu family that Leo has created. Leo allowed me to teach a couple classes while I was in Jaco and to this day it was the most life changing teaching experience I have ever had. Can you share with us a particular child that made an impression on you? Bret Russell: There was a particular child who particularly captured our hearts. He has a rough home life with a mother and father not always around. This Jiu-Jitsu program has given him the chance to interact with positive role models that will guide him down a more promising path. This child is full of life and loves being active. He also had a passion for playing iphone games and knowing more about your phone than you do. You cannot help but smile and laugh when you’re around him. How has it all affected you? Bret Russell: When it came to our last days in Costa Rica you couldn’t help but feel like you needed to contribute to this amazing contribution. Leo is running not only a Jiu-Jitsu class but has offered himself to be all of these children’s life coach. Leo works very hard to maintain this program for the kids and make sure each and every one is taken care of on multiple levels. Leo also does not accept money, instead he will ask you to use that money and purchase something they need such as Gi’s, mats, etc. I immediately started thinking of ways of how I could help this program out. There was no way I could leave all the kids and everyone involved without being touched. These kids will always be dear to my heart and anything I can do to help I will do without hesitation. Aspiring to make a difference how do you look to contribute? Bret Russell: I will be host a Charity Grapplethon event.I have done the basic ground work as far as receiving the “ok” for this event at a few locations… I have an open door policy with countless jiu jitsu academy’s. My preferred location would be somewhere in San Diego County. When will the Grapplethon take place? Bret Russell: I don’t have a set date just yet but be on the lookout for more information! Until that time is there any way people can contribute? Brett Russell: People can contribute anything from used gi’s, new gi’s, no-gi gear, clothing, school supplies, and money. Anything will help these kids! Any final thoughts before we close this interview? Bret Russell: I can’t wait to put on this event for such a wonderful organization that has really touched me and countless others!